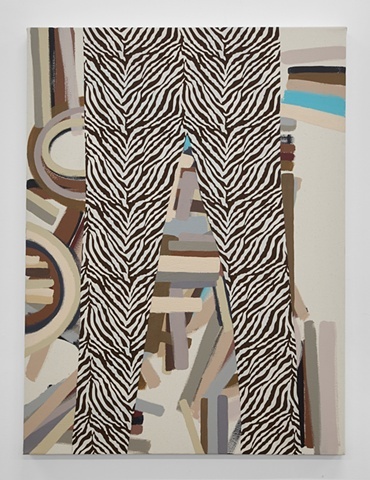 In her new body of work, Larkey continues to investigate the boundaries between the self and the world, by looking at the ways the individual is both hidden and revealed through representation in language and clothing. 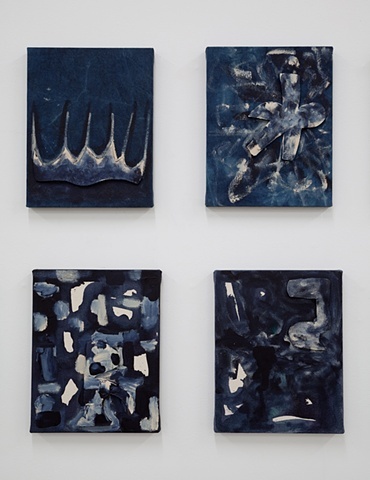 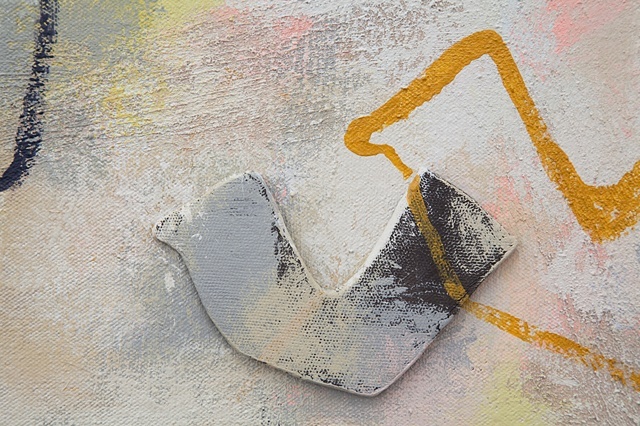 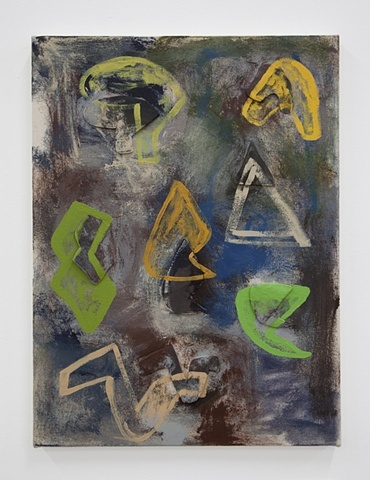 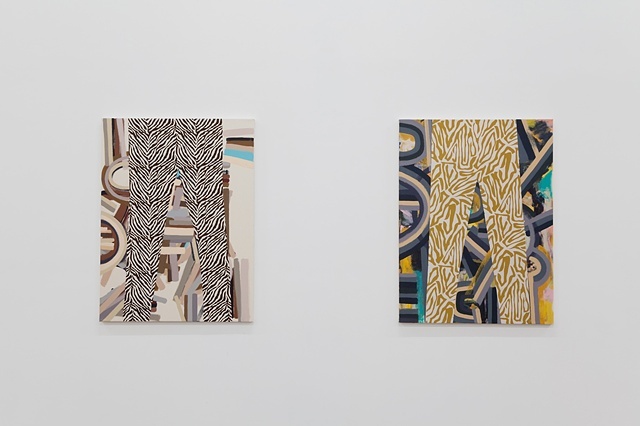 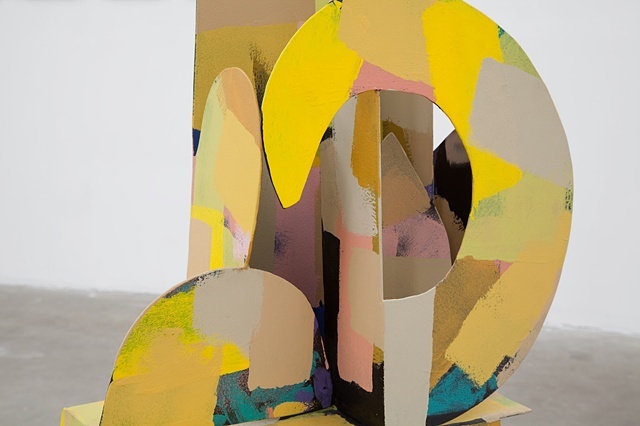 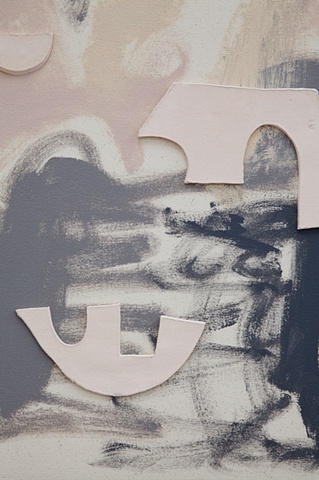 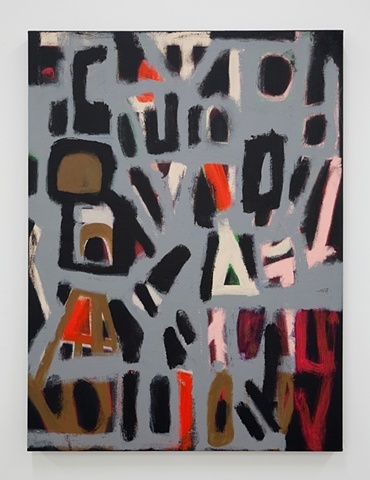 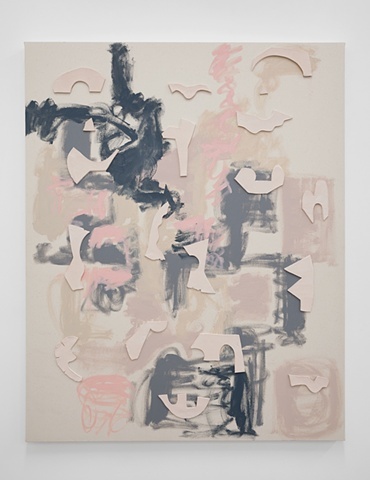 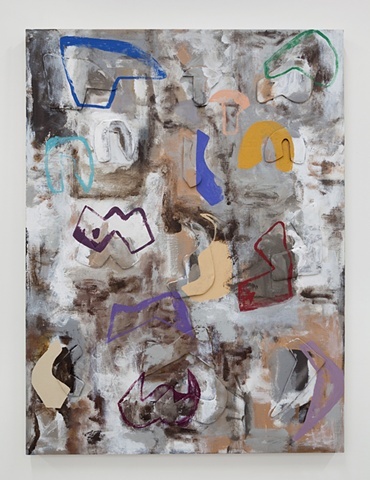 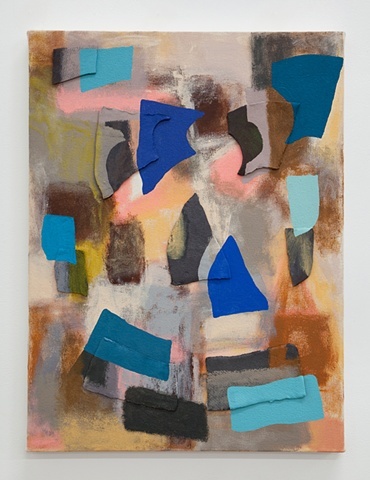 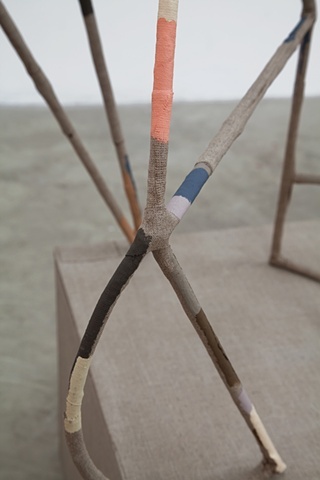 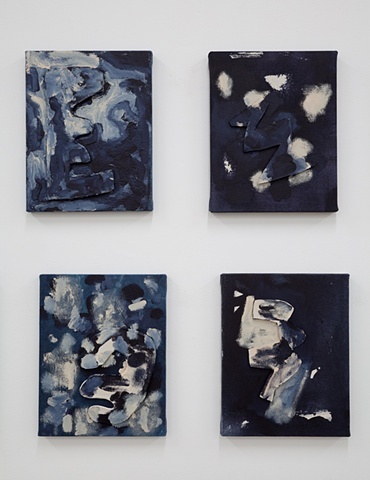 Including painting and sculpture, the new works incorporate flatness and volume, painted gestures and printed patterns, symbolic language and raw materiality, and evoke a bodily presence while remaining within abstraction. 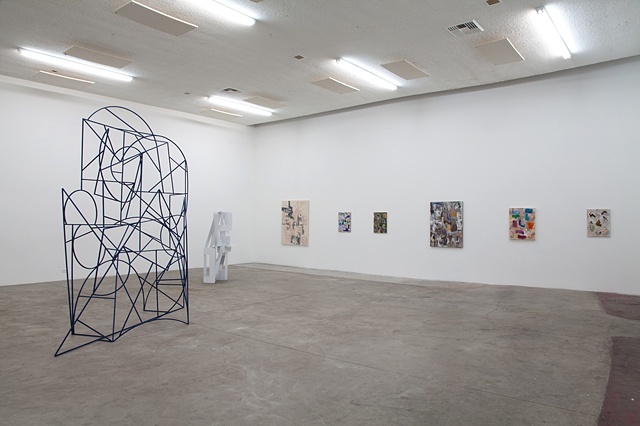 The variety of works in the exhibition - ranging from large sculpture to small painting - actively engage the viewer within the architecture of the exhibition space. 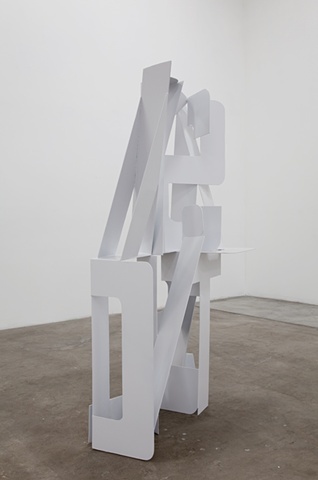 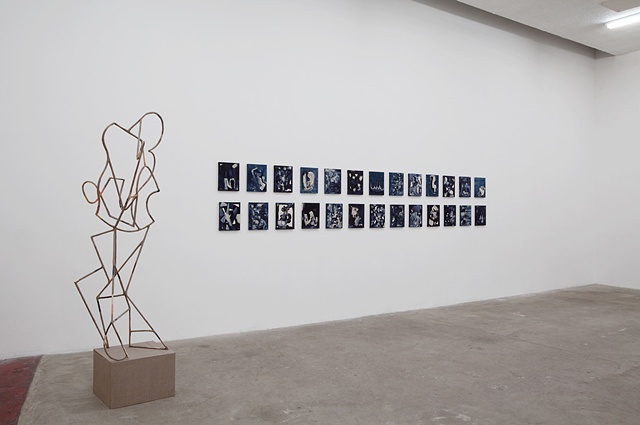 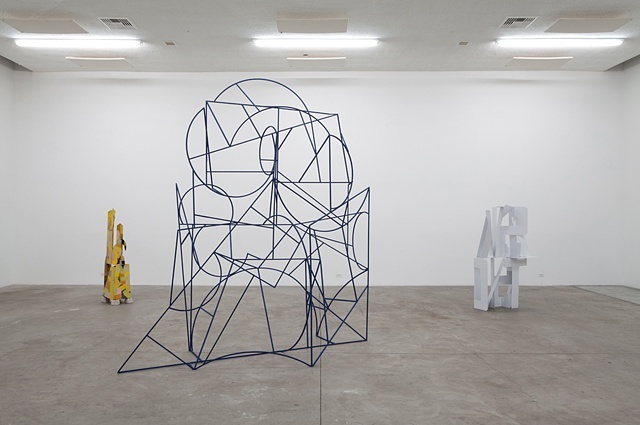 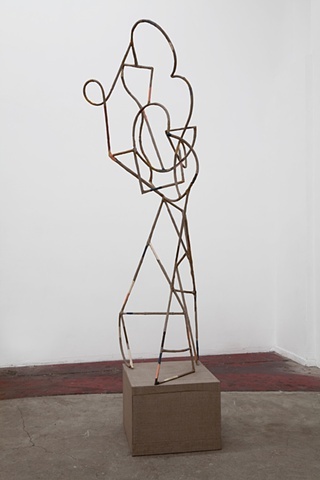 In making welded metal sculpture, Larkey responds to a tradition of modernist male sculptors, from Anthony Caro and Tony Smith to lesser known figures such as Julio Gonzalez and Jorge Oteiza. 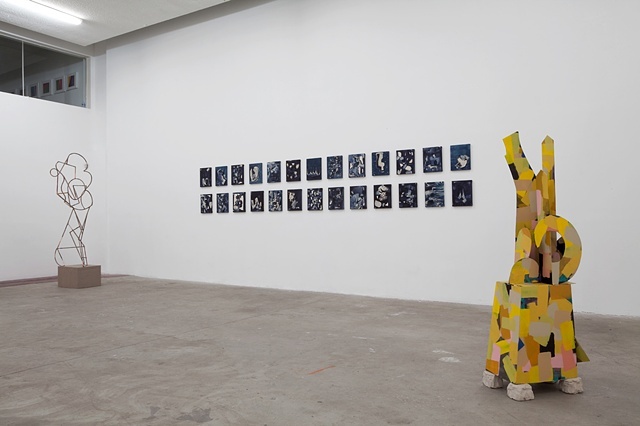 The sculptures reveal hidden subjects: phrases broken down into fragments of language, and dress patterns made into armor-like edifices. 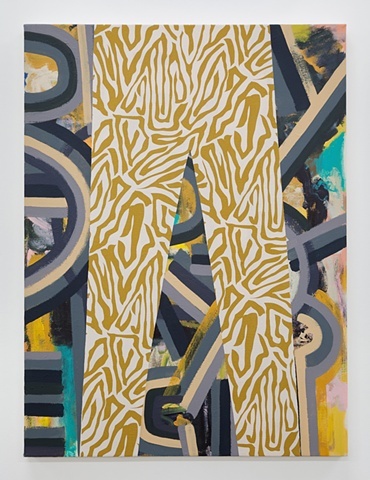 By injecting familiar, everyday content into this tradition of abstraction, Larkey provides a slippage between looking, reading, and wearing - evoking and questioning the different ways that one interacts with an object in the world. 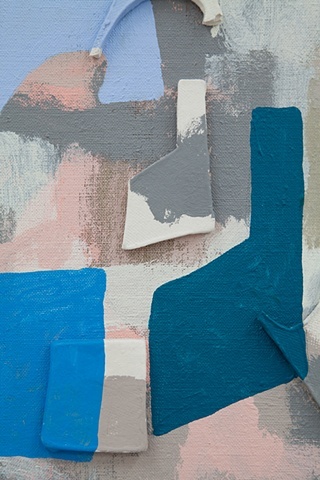 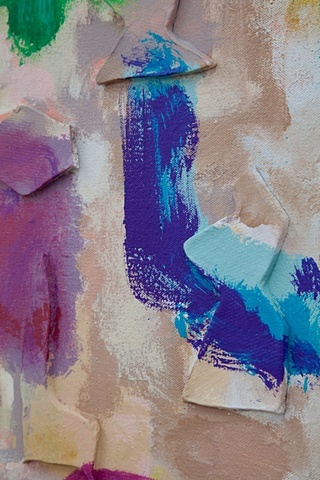 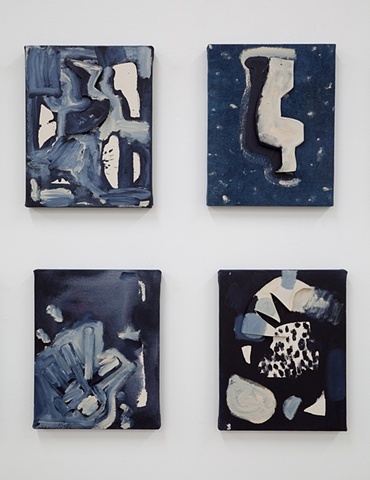 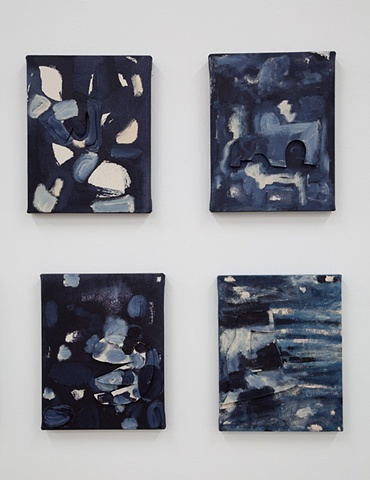 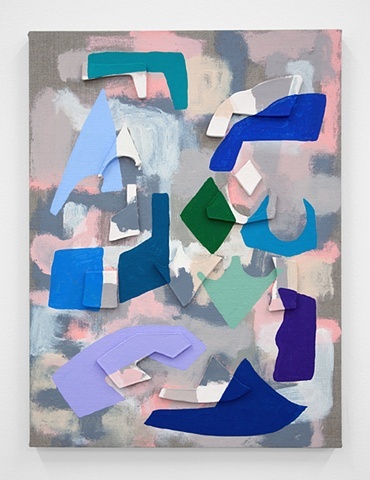 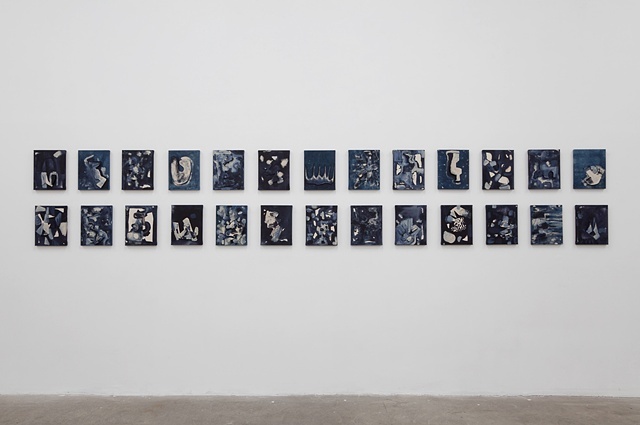 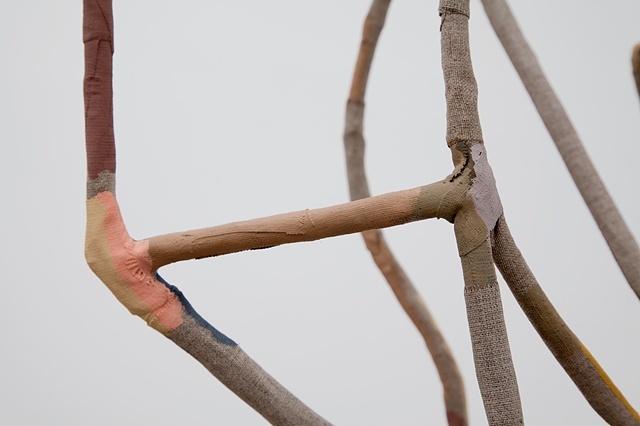 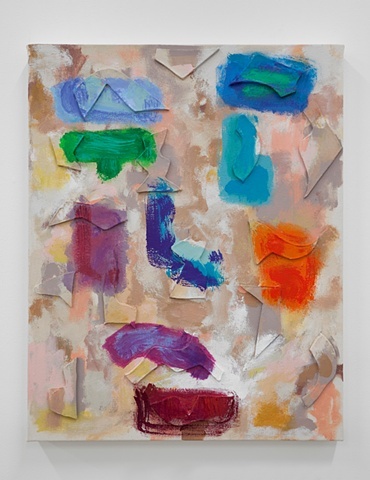 Similarly, in the paintings, what seems to be a straightforwardly painted surface reveals itself to be layers of raw canvas, fabric, clay fragments, and paint. 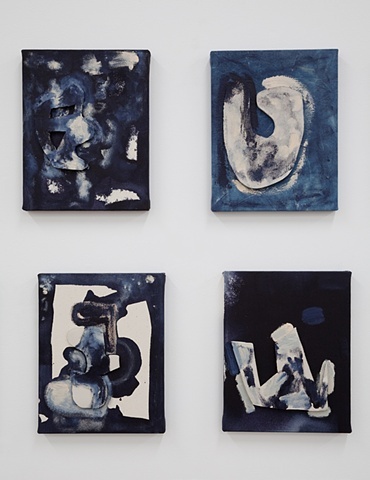 For “The Lost Alphabet,” Larkey imagines an alternative to the basic elements of language, suggesting that the world is not as fixed as it might seem, and that new modes of communication are possible. 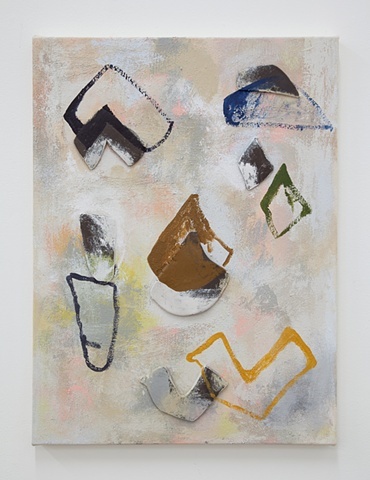 In the series “Masks,” each painting contains within it an abstracted face; the paint becomes a kind of make-up, and the painted surface becomes a series of false fronts. 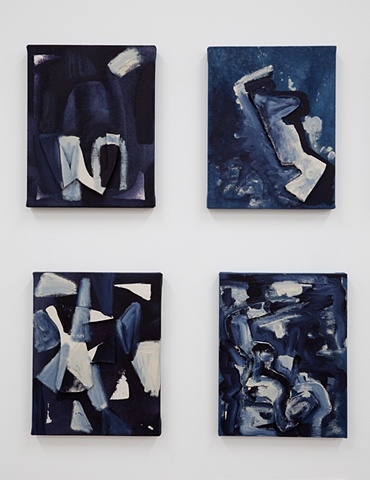 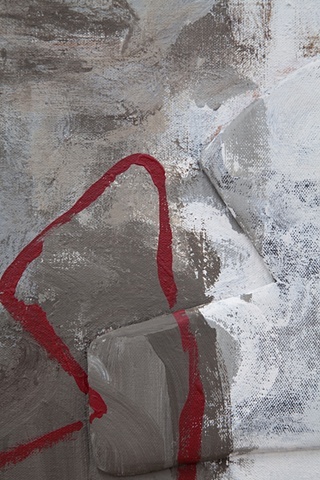 Using different materials and techniques to extract both solid forms and subtle gestures, the paintings confuse negative and positive space, yielding lyrical shifts between the covering and the covered-up.